Dec. 8, 2018: International Space Station Configuration. 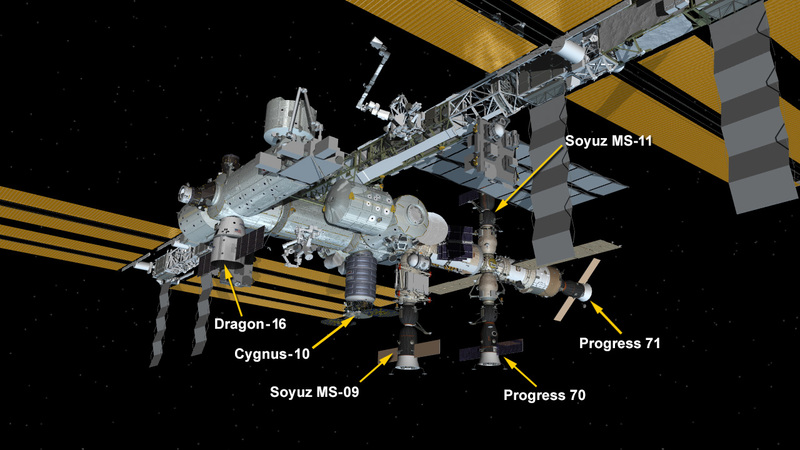 Six spaceships are attached at the space station including the U.S. resupply ships Northrop Grumman Cygnus and the SpaceX Dragon; and Russia’s Progress 70 and 71 resupply ships and the Soyuz MS-09 and MS-10 crew ships all from Roscosmos. Three days after its launch from Florida, the SpaceX Dragon cargo spacecraft was installed on the Earth-facing side of the International Space Station’s Harmony module at 10:36 a.m. EST. The Global Ecosystem Dynamics Investigation (GEDI) will provide high-quality laser ranging observations of the Earth’s forests and topography required to advance the understanding of important carbon and water cycling processes, biodiversity, and habitat. GEDI will be mounted on the Japanese Experiment Module’s Exposed Facility and provide the first high-resolution observations of forest vertical structure at a global scale. These observations will quantify the aboveground carbon stored in vegetation and changes that result from vegetation disturbance and recovery, the potential for forests to sequester carbon in the future, and habitat structure and its influence on habitat quality and biodiversity. A small satellite deployment mechanism, called SlingShot, will be ride up in Dragon and then be installed in a Northrop Grumman Cygnus spacecraft prior to its departure from the space station. SlingShot can accommodate as many as 18 CubeSats of any format. After the Cygnus cargo ship departs from station, the spacecraft navigates to an altitude of 280 to 310 miles (an orbit higher than that of the space station) to deploy the satellites. 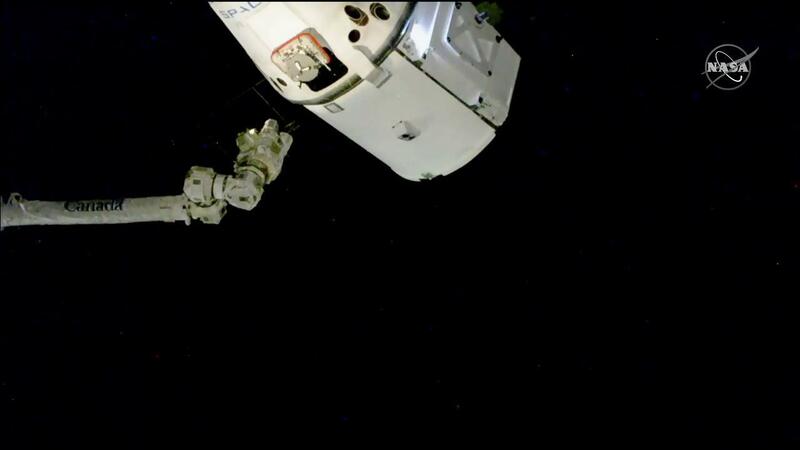 The SpaceX Dragon cargo craft is moments way from being captured with the Canadarm2 robotic arm. While the International Space Station was traveling about 250 miles over the Pacific Ocean north of Papua New Guinea, Expedition 57 Commander Alexander Gerst of ESA (European Space Agency) and Flight Engineer Serena Auñón-Chancellor, captured the Dragon spacecraft at 7:21 a.m. EST using the space station’s Canadarm2 robotic arm. Ground controllers will now send commands to begin the robotic installation of the spacecraft on bottom of the station’s Harmony module. NASA Television coverage of installation is scheduled to begin at 9 a.m. Watch online at www.nasa.gov/live. The Dragon lifted off on a SpaceX Falcon 9 rocket from Space Launch Complex 40 at Cape Canaveral Air Force Station in Florida Wednesday, Dec 5 with more than 5,600 pounds of research, equipment, cargo and supplies that will support dozens of investigations aboard the orbiting laboratory. The International Space Station is an accessible space laboratory with unparalleled capability that is increasing knowledge of engineering and physical sciences, biology, the Earth, and the universe through research and technology demonstrations and providing the foundation for continuing human spaceflight beyond low-Earth orbit. 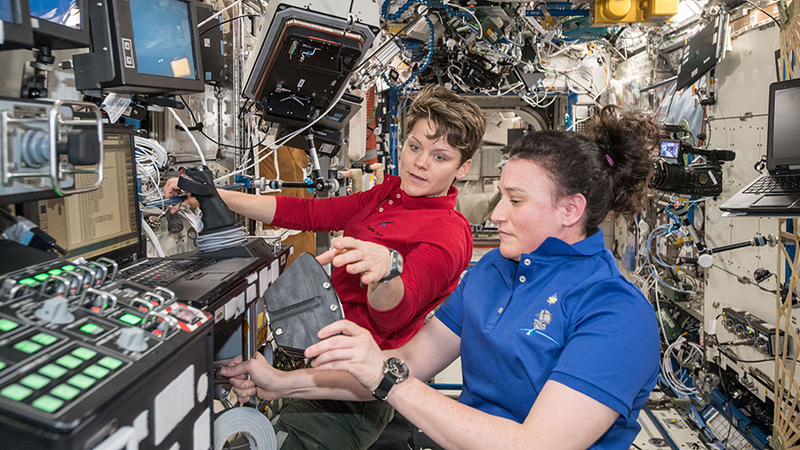 NASA’s human research is closing the gaps in current scientific understanding of how best to predict, assess, and solve the problems that humans encounter while living and working in space, and extend that knowledge to protect the women and men who will go forward to the Moon and Mars. 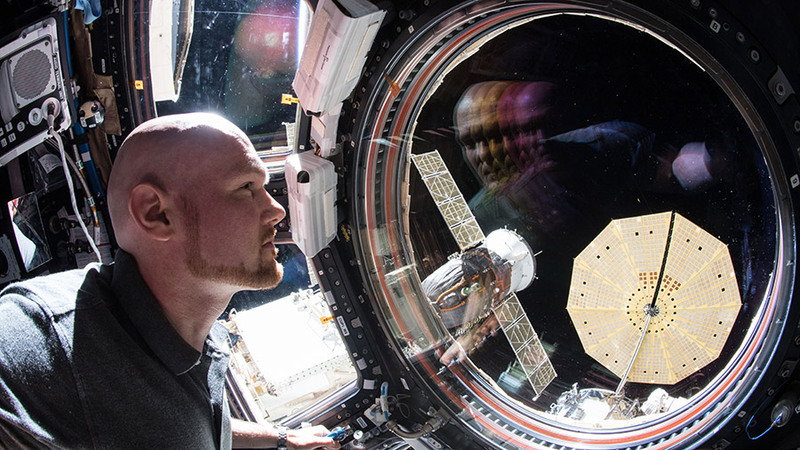 Expedition 57 Commander Alexander Gerst of ESA (European Space Agency) peers out the International Space Station’s “window to the world,” the seven-windowed cupola. 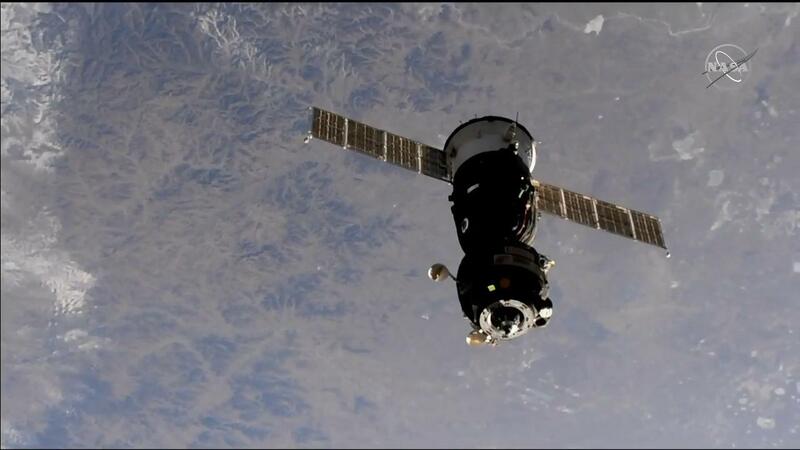 Just outside the cupola are two spacecraft including the Soyuz MS-09 crew craft and Northrop Grumman’s Cygnus cargo craft with one of its cymbal-shaped UltraFlex solar arrays featuring prominently in the frame. 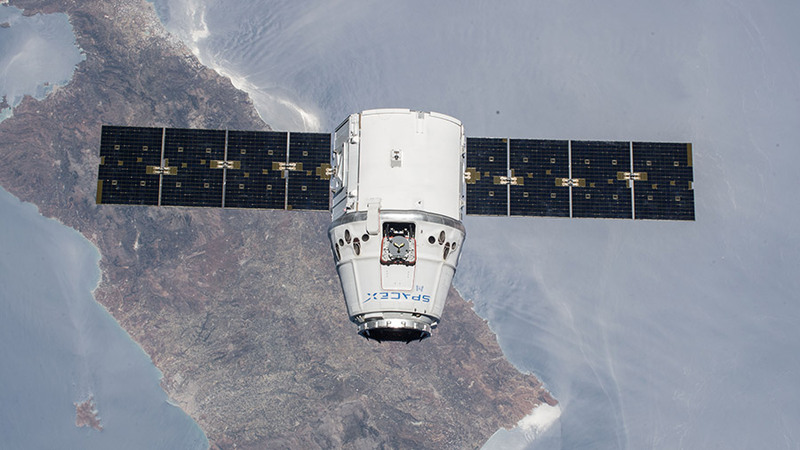 The launch of the SpaceX Dragon cargo vessel slipped one day to Wednesday at 1:16 p.m. EST with meteorologists forecasting 90% favorable weather for launch. 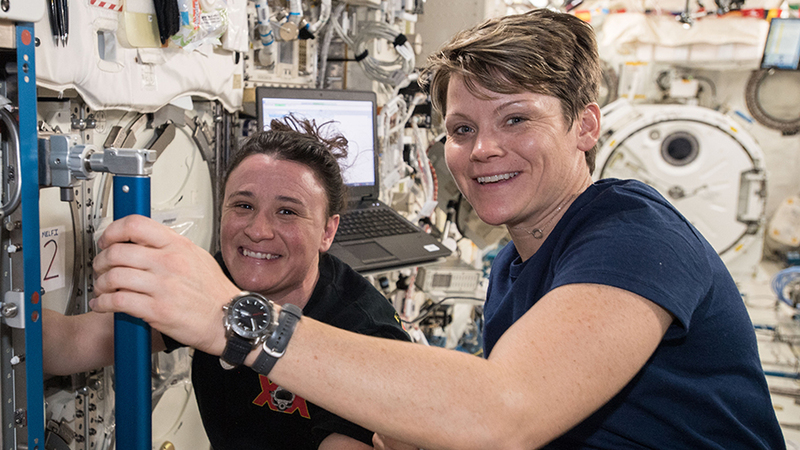 Meanwhile, the newest crew members aboard the International Space Station are getting used to their new home in space. Dragon’s 16th mission to the orbital lab will deliver almost 5,700 pounds of science, crew supplies and hardware. The commercial space freighter is due to arrive at the station Saturday when astronauts Alexander Gerst and Serena Auñón-Chancellor will command the Canadarm2 to grapple Dragon around 6 a.m.
New station crew members Oleg Kononenko, Anne McClain and David Saint-Jacques are in their second day aboard the station. The trio are familiarizing themselves with station systems and safety procedures today. 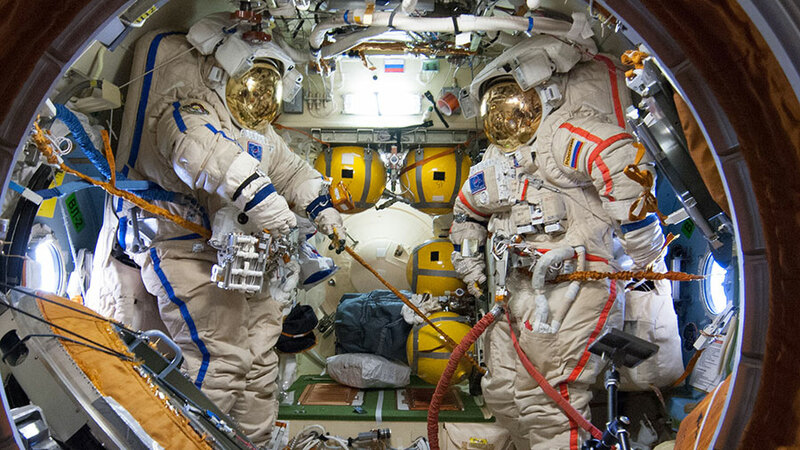 They began their mission Monday when they launched aboard the Soyuz MS-11 spacecraft at 6:31 a.m. and docked just six hours and two minutes later to the Poisk module. 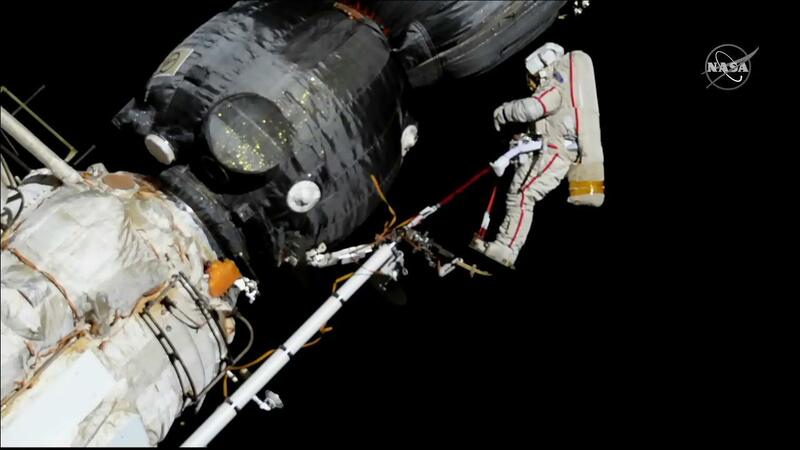 The new crew will stay in space until June. Expedition 57 Commander Alexander Gerst is getting for his return to Earth on Dec. 20 and began packing his personal items today. 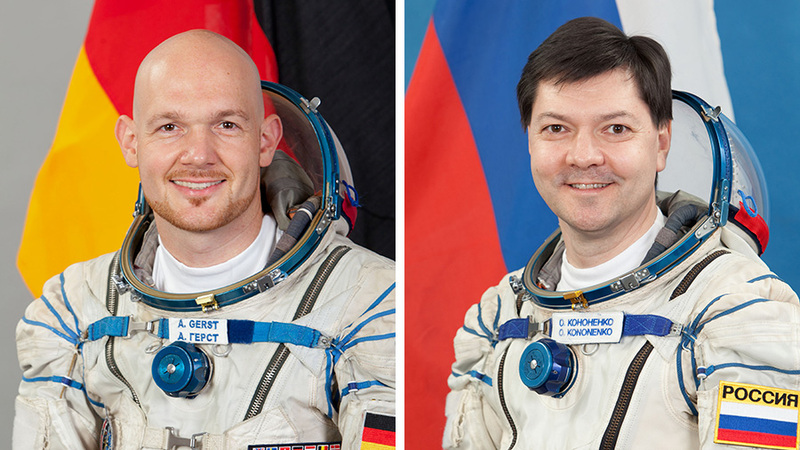 He’ll wrap up his mission with Flight Engineers Serena Auñón-Chancellor and Sergey Prokopyev and land in Kazakhstan inside the Soyuz MS-09 crew ship after six-and-a-half months in space.